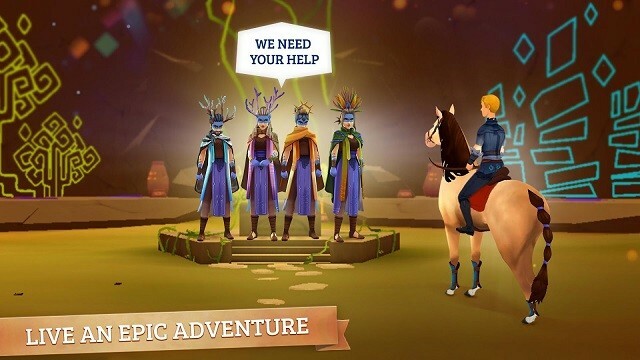 Horse Adventure Tale of Etria MOD APK is an Open World 3D Adventure quest game from Ubisoft Entertainment. 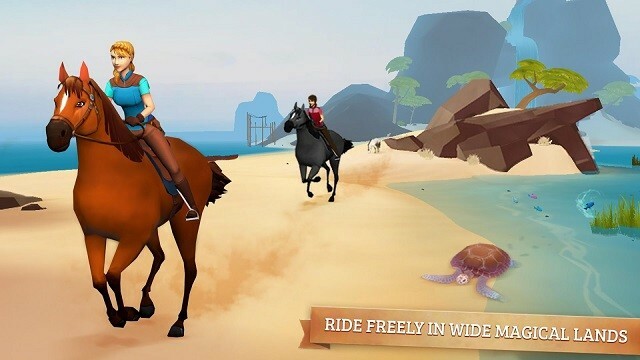 Drastic beautiful 3D world with paddling on horse is quite fun. 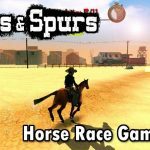 if you are looking for such horse gaming fun then you need this game. its currently in Unreleased status in the play store.but from Andropalace you can download Horse Adventure Tale Of Etria Hack APK for Free.Its an online game so Unlimited Gold Coins and Green Gems MOD is not possible. 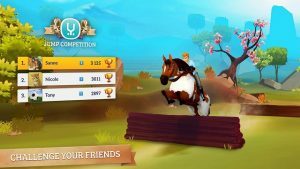 Game starts with the little story about the 3 horses which lost a while ago. and you have to find those magical horses to bring peace in the Etria world. at the starting of the game you will be thrown in the Etria World through magical portal and then your journey starts. 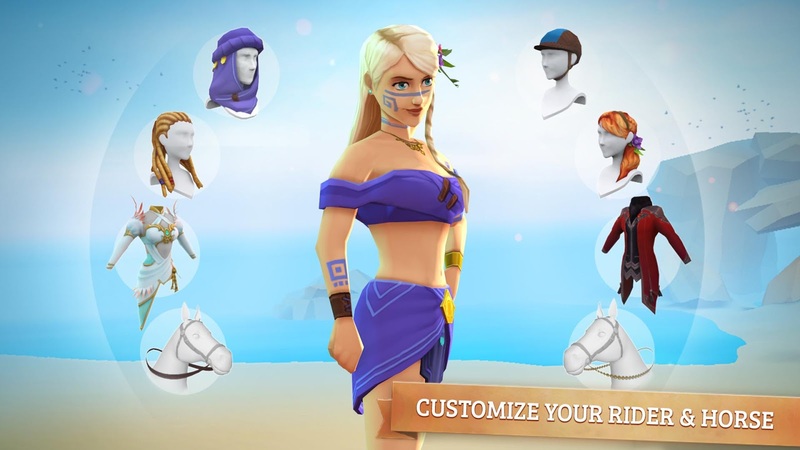 Game will start from the customization screen about rider and horse. select their name and you are ready to go. 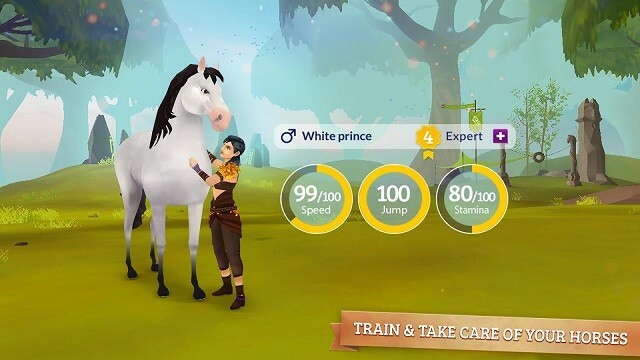 Gameplay is quite simple tap on + mark to make your horse walk, tap again and again to run faster and faster.but there is a stamina limit which limits your racing and competition fun. but in this Tale Of Etria MOD APK i have tweaked a file to give you an infinite points of stamina so you can run and doge for unlimited amount of times. you can freely visit entire world on your horse.you can not dismount your horse. all things will be done on your pet horse. as long as you run or walk with your horse your horse stats will be increasing.its just like GTA game where you eat too much so get fat and if you run a lot your weight decreases. Quests are there. you can go and visit MAPS to start story quests or challenges on the go. 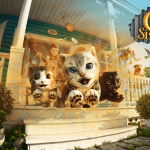 Each quest will reward you regular soft currency aka Gold coins and Green Premium hard currency aka gems. 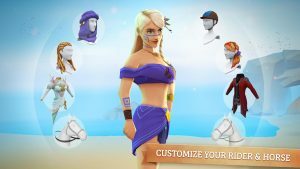 you can purchase new horse using Gems and customize items using currencies. 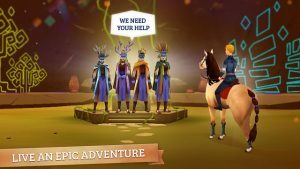 Quests looks pretty adventurous like finding horses, defeating enemies and catching thief. Its an online game so there are some features like Competition and world leader board. 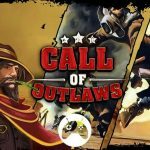 As you progress through the main campaign you will be taught many things like increasing horse stats its like upgrading your character.and this requires a builder(In coc language) the more builder you have more you can start up gradation for your horses. 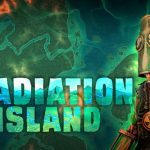 Graphics looks like fading away but you have great contents and gameplay to follow then you definitely do not need any good graphics. 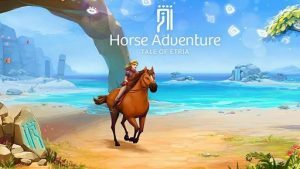 I have got some network error though but its still in beta position so lets wait for the proper release.till then enjoy Horse Adventure Tale Of Etria MOD APK from Andropalace. 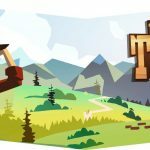 Make sure to register using your Email IDs so you can get email whenever any new game arrived on Andropalace.org. 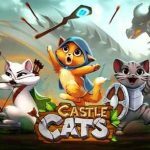 Install MOD APK,Download data and Play. As there is a facebook save option.use it to save your progress. If you can not log-in to facebook then uninstall your FB Application then try.It would work fine for sure. Is there anything else that can be moddified…this stamina thing doesnt help much inlater game.